Attention Deficit Hyperactivity Disorder, or ADHD, has become a major childhood mental health disorder, but we don’t have a good grasp on what causes ADHD. The disorder makes it difficult for kids to focus or pay attention in school and other areas of life. Many factors have been associated with the ADHS and it’s likely that they interact in complex ways. Nutritional factors are among those suspected, but clinical trials with specific nutrients are not always successful in treating the disorder. A new study authored by Howard et al. and published in the Journal of Attention Deficit Disorders links a “Western” style diet with increased odds for adolescents having ADHD. The researchers used a 14-year old study following 2,868 kids from birth to age 14 (so far) in Australia. They were able to get dietary data from 1,799 adolescents in the Australian study and looked to see if kids diagnosed with ADHD had different eating habits as those who didn’t have the disorder. 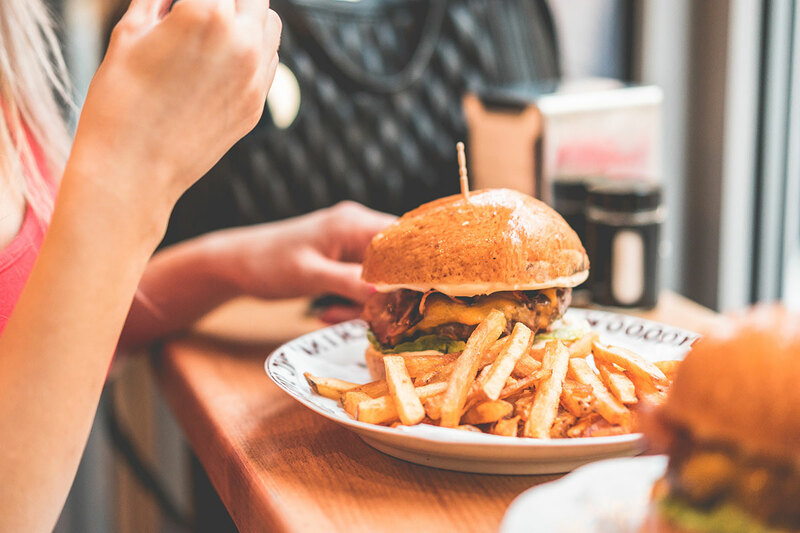 What the authors found is that diets higher in take-out food, red meat, processed meat, high fat dairy products, processed sugar, chips and soft drinks were more common in kids with ADHD. These diets were also lower in omega-3s, fiber, grain and whole fruits and vegetables. Interestingly, another finding of the study was that kids who exercised outside of school at least twice a week were also less likely to have ADHD. Because this was an observational study, the authors can’t conclude that a Western diet causes ADHD or that exercise protects against it, only they were associated with ADHD. However, the authors did control for other things and the associations remained. This study is interesting because most other studies have looked at individual nutrients, like omega-3s or folic acid as protective against ADHD or high intakes of processed sugars as risk factors for ADHD. But it is becoming clear that foods and nutrients interact with each other in such complex ways that it’s difficult to hail the benefits of, or point the figure at specific foods or nutrients in isolation. Besides, foods tend to go together in peoples diets, so it makes more sense to look at global food patterns, as these authors did. For example, people who eat a lot of sugary desserts also tend to drink more high sugar sodas and eat foods higher in saturated fat. Whereas people who tend to eat a lot of whole fruits and vegetables also eat and live healthier in other ways. The impact of nutrition on the brain chemistry that underlies many psychiatric conditions is a science that is still very young, yet one thing is clear. Diet does matter. Although we might not have all the answers figured out yet, if you struggle with some kind of mental health condition, you are not likely doing yourself any favors by eating a poor diet. In fact, data is emerging that eating a healthy diet may help you respond better to various other types of treatment, like mood controlling drugs or talk therapies.